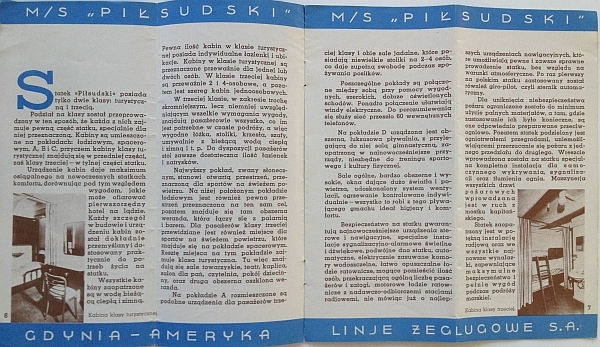 This blog has featured two Polish items over the last two months. The prewar Polish designers embraced the best of era’s design and these two items do not disappoint. 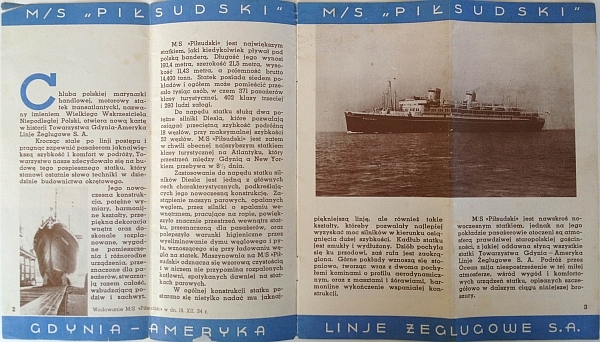 These are two brochures for the oceanliner M/S “Pi?sudski” which sailed under the Gdynia-Ameryka Linje Zeglugowe S.S. (aka Gdynia America Line). 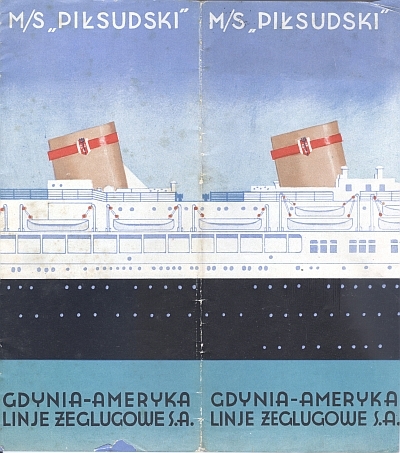 According to this website (translated from the Polish): “At the end of October 1932 it was decided to build larger and more comfortable ships. In November of 1933, best cialis nurse the company commissioned the Italian shipyard to build two passenger motorboats. Built by the Italians, viagra generic the liners had a modern silhouette and were very comfortable. 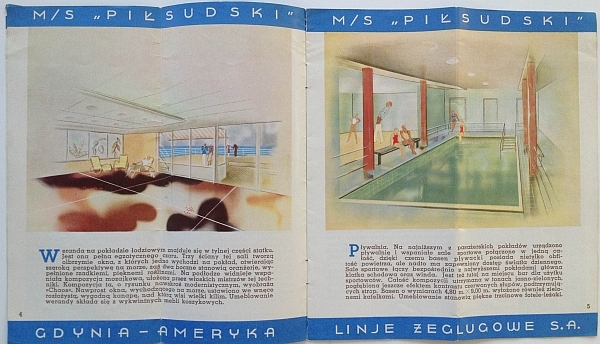 They had shops, bars, cafes, swimming pool, gym, playground areas, promenades and verandas. 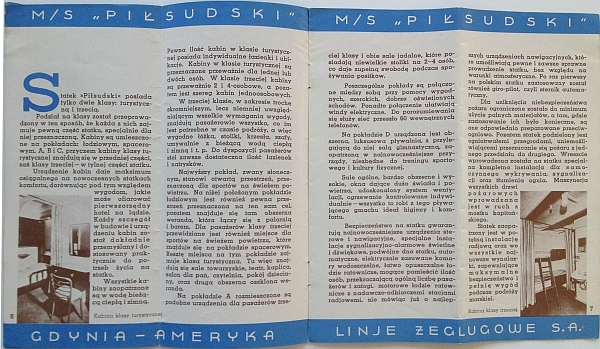 In December of 1934, the first ship was launched which was given the name ‘Pi?sudski. 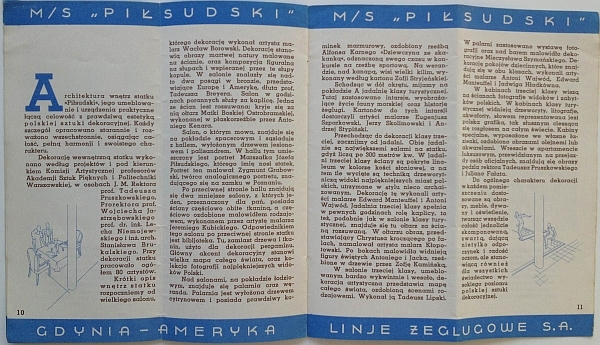 '” Unfortunately, as World War II got underway, the Pi?sudski was sunk on 26 November 1939 off the coast of England (it is unknown if was a mine or a torpedo). 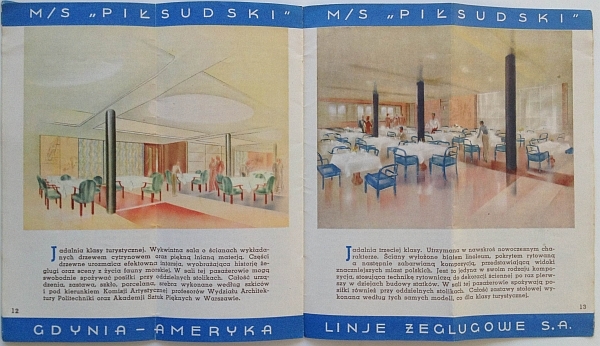 The two brochures are from 1935 and 1936. Both represent the same image of the boat. 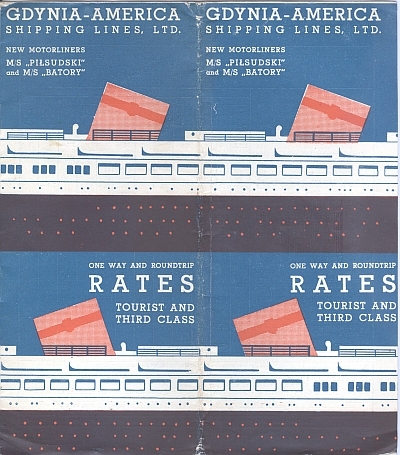 However, the 1935 brochure is far more striking and well designed in my opinion. 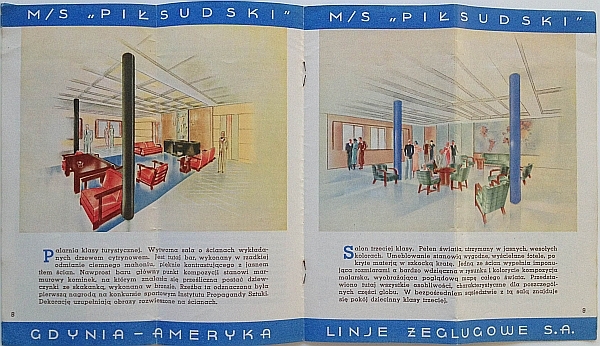 The design represents what I consider the “height” of prewar art deco / modern design ascetic. 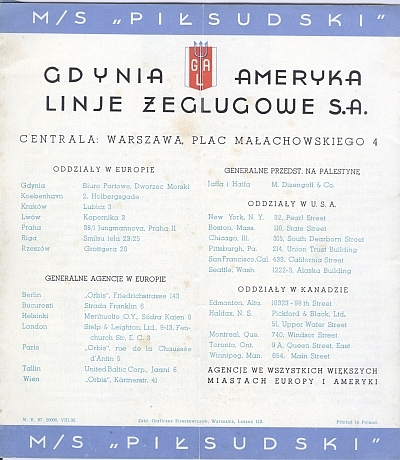 The 1936 brochure remains interesting, though at different level of design sophistication (one I would actually call derivative) as if the management of the Gydnia America Line hired a lesser artist who simply reversed and recycled the previous year’s image and fell back on a boring if not more standard font for the text. 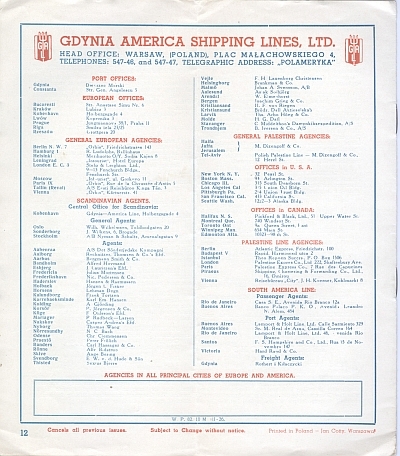 The 1935 brochure is also more sumptuous: it contains views of the interior of the liner and its appointments; the 1936 brochure is simply a timetable.